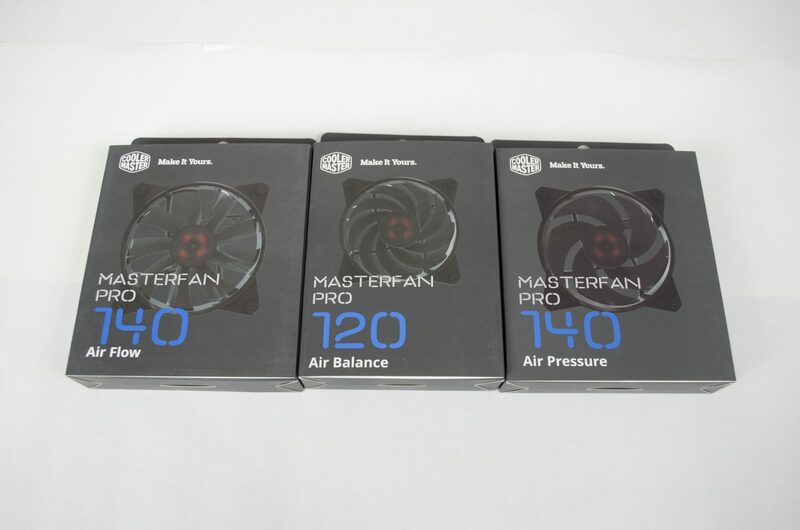 Cooler Master was recently nice enough to send us in some fans from their new MasterFan range. 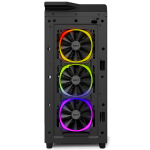 The idea behind the range is to have similarly designed fans that are optimized for different areas throughout your case and PC build. For those who don’t know, there are different types of fans depending on where you plan on using them. As we all know, air flow is key and companies have figured out how to best accomplish this by changing the blade design based on where you plan on using the fan. 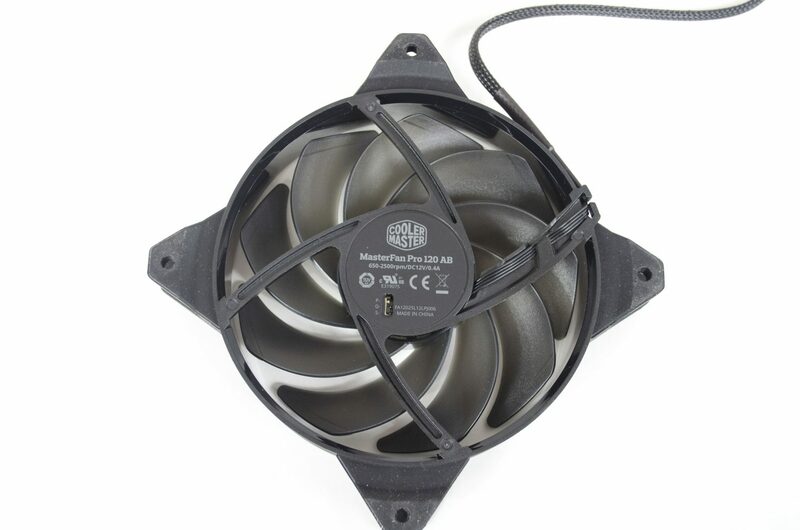 As we will soon see, Cooler Master have designed 3 different fans in their new MasterFan range, 1 for each air flow, air balance and air pressure. 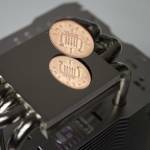 The idea is to use the air pressure fans on the front of the case to bring in the most airflow, then used the air flow fans on the rear and top to exhaust the heat while using the air balance on your CPU cooler. 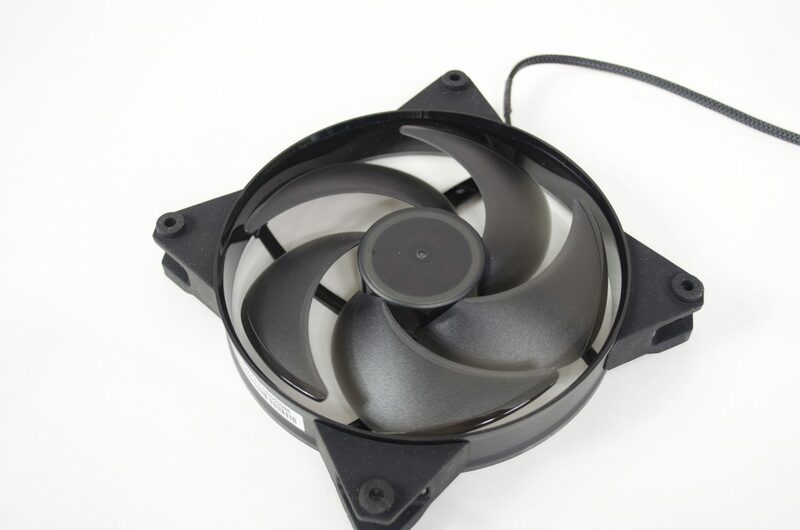 The fans all feature a very similar design and it is only the blades on each fan that are different than the others. This is so you can get the best fan for the job but still have them matching. 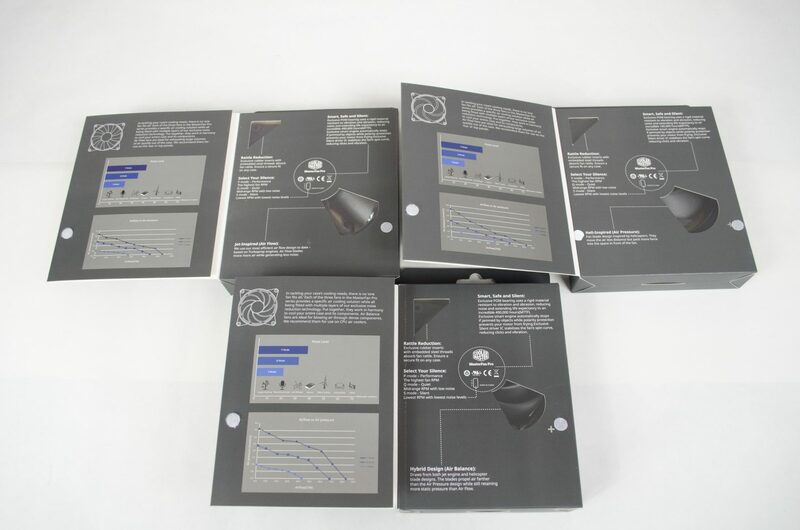 The boxes for all of the fans are very similar as you would imagine since they are from the same range. On the front, there is a nice image of the fan that is in the box along with the model name in the bottom left. The front of the box is also a flap that opens up, revealing quite a bit of information on said fan that is inside. 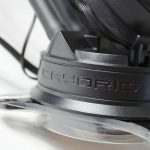 Here you will be able to see a graph of the noise made by each fan and a comparison of airflow vs air pressure so you can make sure you are getting the right fan for your needs. Over to the right are also a couple of small viewing windows that reveal the actual fan in the box and allow you to see the anti-vibration and rattle reduction rubber corner pieces. You can also get a small look at the fans blades of each fan as well which is quite nice. 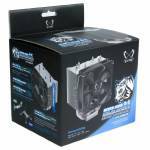 Inside the box for each fan you will only find a small pack of 4x screws alongside the fan you have chose. 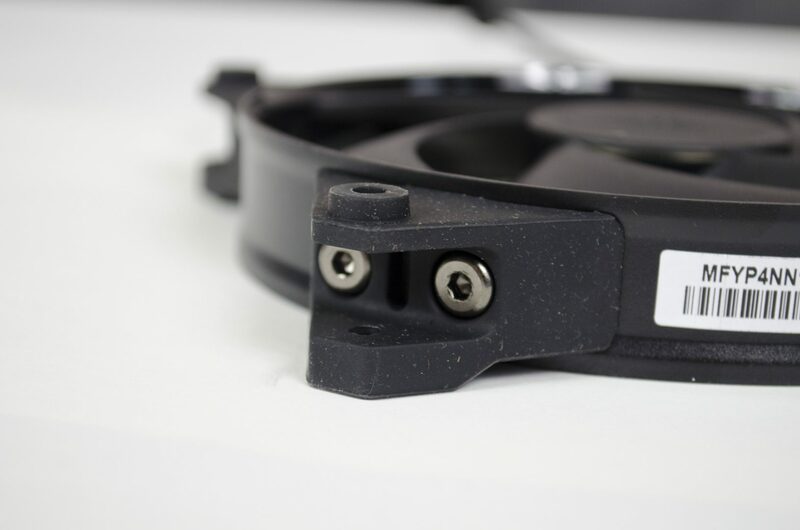 While it is nice to have the extra accessories sometimes, a lot of the time they go unneeded and do actually make the fans cost more so fair play to Cooler Master for only including some screws. 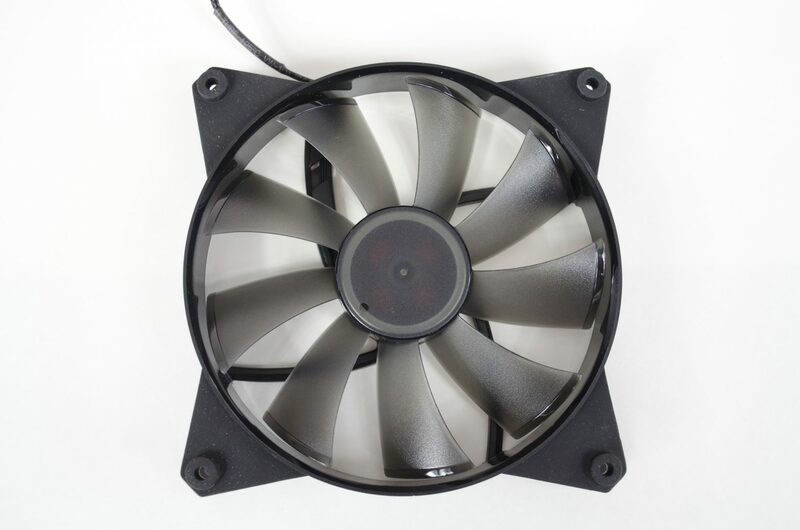 As mentioned, aside from the fan blades being different on each model, the only other real difference can be the size as some fans do come in both 120mm and 140mm sizes. The reason for the different shaped blades is to allow for better airflow or air pressure in different situations. While most may not think about it, when you do take a second it becomes easy to realize that yeah, a fan pushing air through a radiator may need to be designed a bit differently to one just pushing air out in the open. 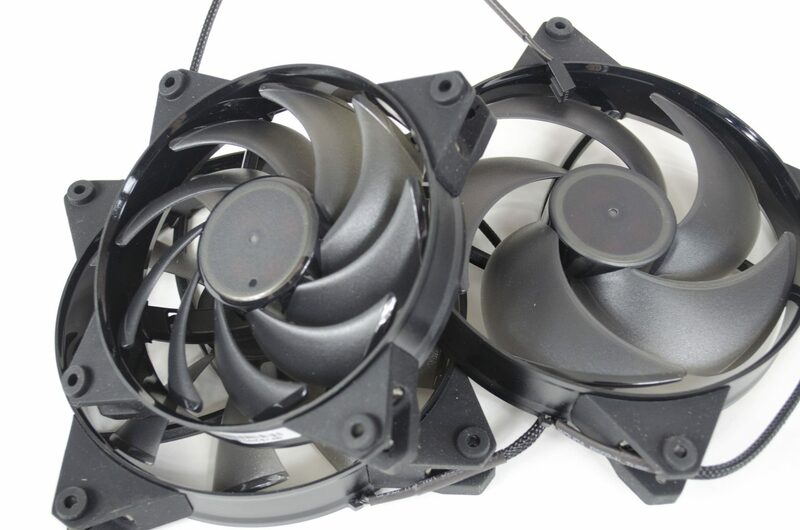 The fans are all black except for the blades, which are still dark even if they do let a bit of light through. 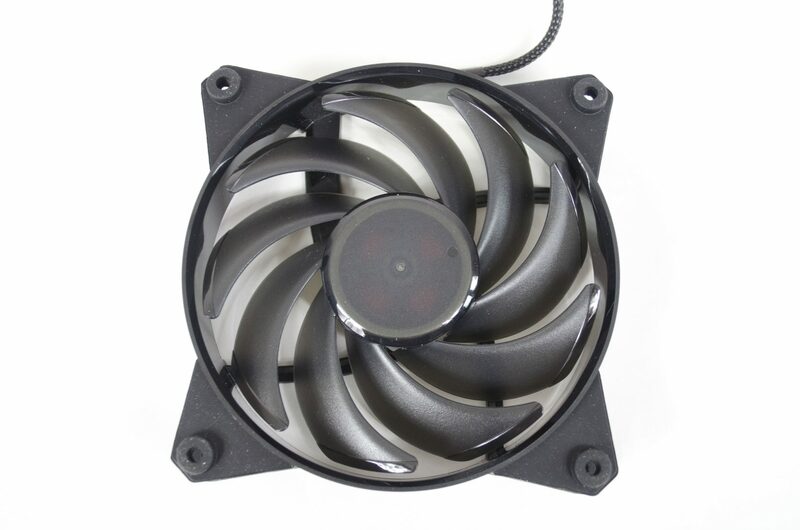 All of the fans also feature a braided black cable as we would hope so from these types of fans. As mentioned and as you can clearly see now, there is a little switch on the back of all the fans that controls the performance. The switch has a “P”erformance setting, a “Q”uiet setting and lastly, a “S”ilent settings. Now, it is pretty self-explanatory what each of these settings has to offer. While I love the idea, the only downside I can see is the fact the switch is on the backside of the fan meaning it will sometimes be inaccessible without having to uninstall the fan from where it is. You will also notice that all the model names are on the back and it even tells you the RPM of each fan, all of switch start at 650. All of the screw mounts feature rattle reduction rubber. Cooler Master have also made it so these are fairly easy to remove by taking out a couple of screws. Lastly, you will see one side is flat whereas the other side has an extra raised circle bit for added protection. 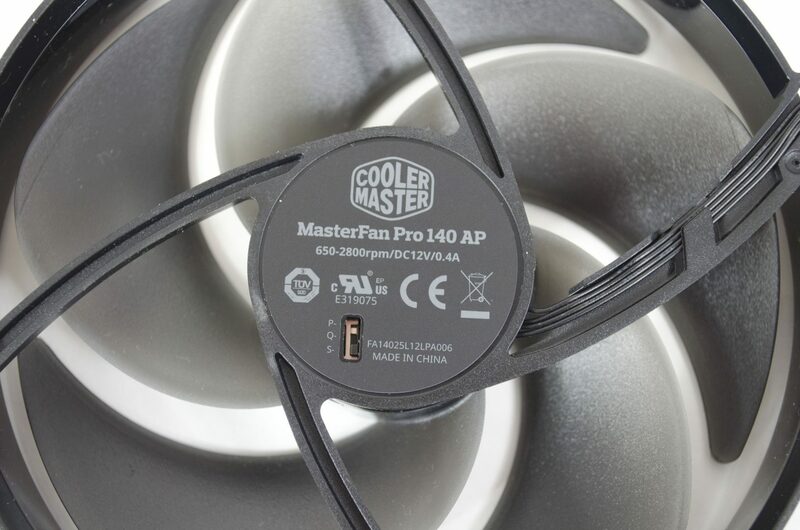 I think it is safe to say that Cooler Master has done an exceptional job when it comes to their new MasterPro range of fans. 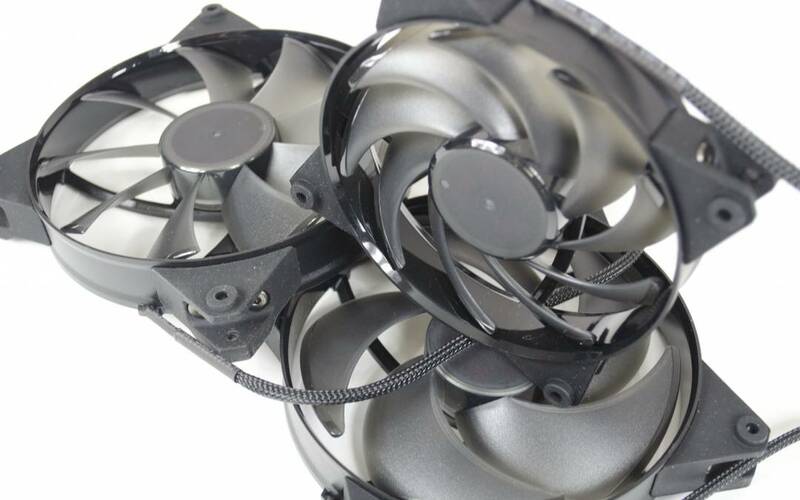 Not only are these fans designed for optimized performance, they also look nice and will be a welcome addition to any new or existing PC build. 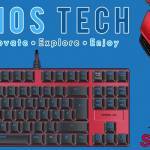 While LEDs are currently a major trend in the PC community, Cooler Master has decided to not include any LEDs in their MasterPro range and I think it has paid off for them. 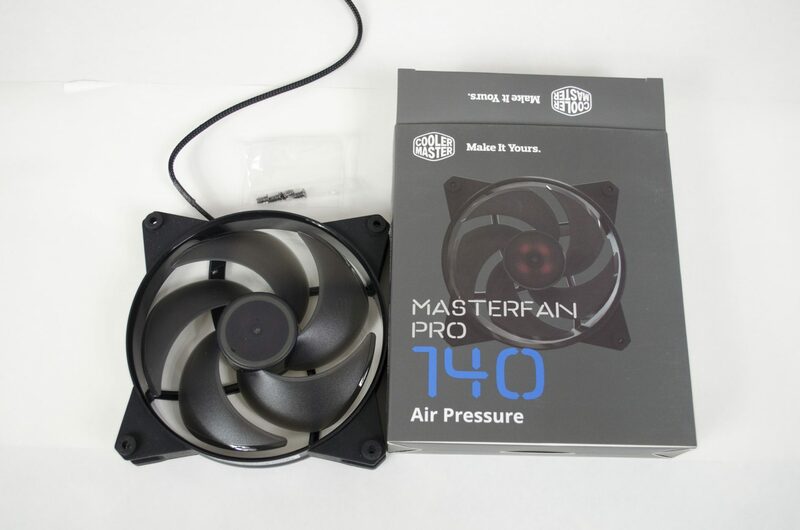 The MasterFan Pro range of fans perform great when used properly in conjunction with one another. 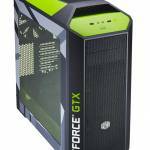 The Air Pressure fans do a great job at bringing the air into the case from the front intakes and getting it all started. 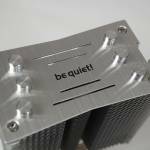 The Air Pressure fans can also be used on radiators as they are designed to push air through more dense areas. 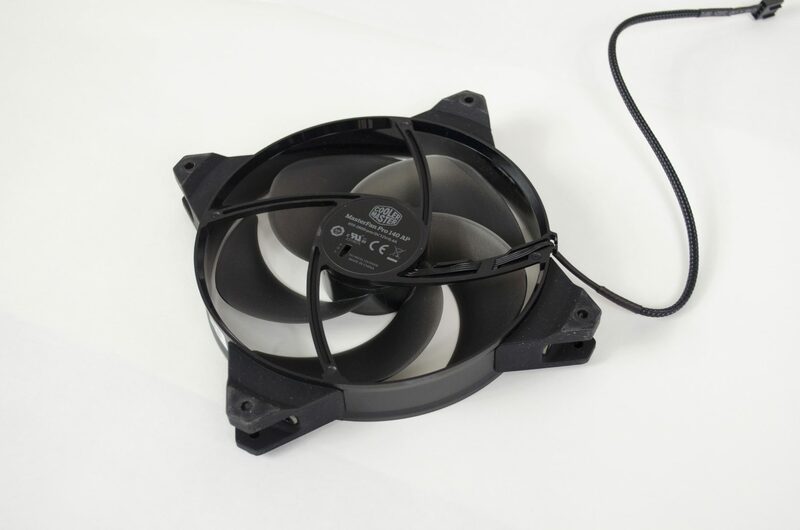 The Air Flow fans are designed to push air through free areas such as helping to exhaust the heat out the top or back of a case, which they do a good job of. 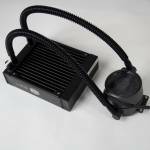 The Air Flow fans are also great when you want to add a bit of airflow to a silent CPU cooler just to help dissipate the heat a bit quicker. 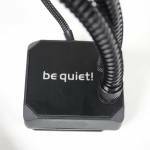 Lastly, the Air Balance fans shine most when being used on more standard CPU cooler that features a heatsink and or fin array design to them. 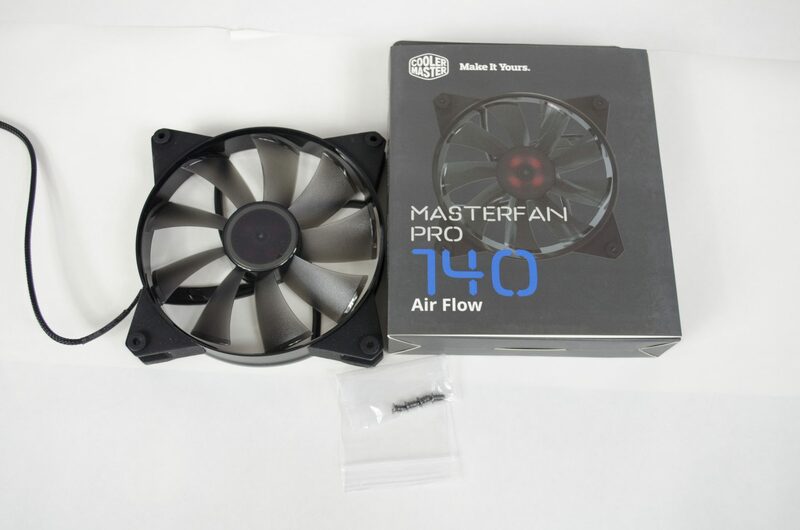 In all of my testing, the MasterFan range of fans produced an adequate amount of airflow when tested in the area the were designed for. 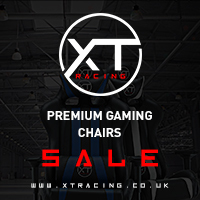 What’s even better is that all of the fans have 3x different settings to choose from whether you prefer silent operation or the best performance, there is a setting for everyone. Overall, I was mostly happy with the design except for one thing. 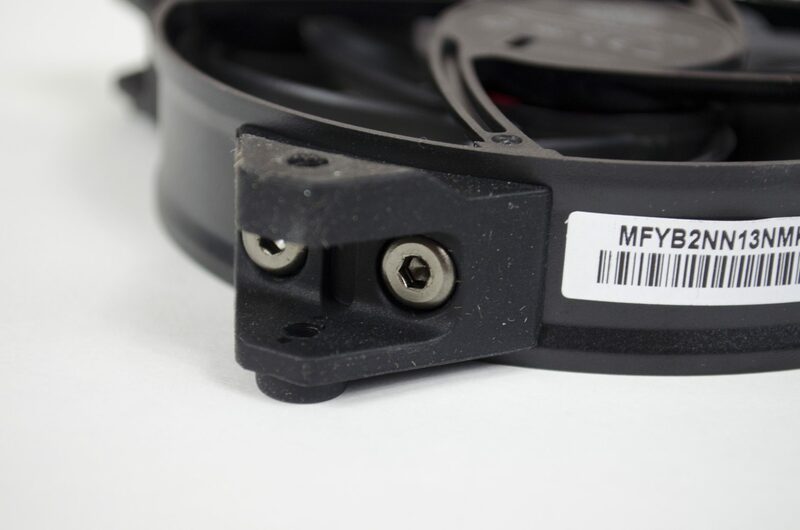 The switch that controls the overall fan speed is located on the backside of the fan which means it won’t generally be easily accessible once installed. For instance, if you installed your fans to push air through a radiator, the switch is going to be between the fan and radiator, requiring you to completely move the fan should you want to adjust the setting. While this isn’t the end of the world, it may become a pain when you are first setting the fans up in your case and trying to decide which settings is best for you. Aside from this, I was a fan of the overall aesthetic of the fans. 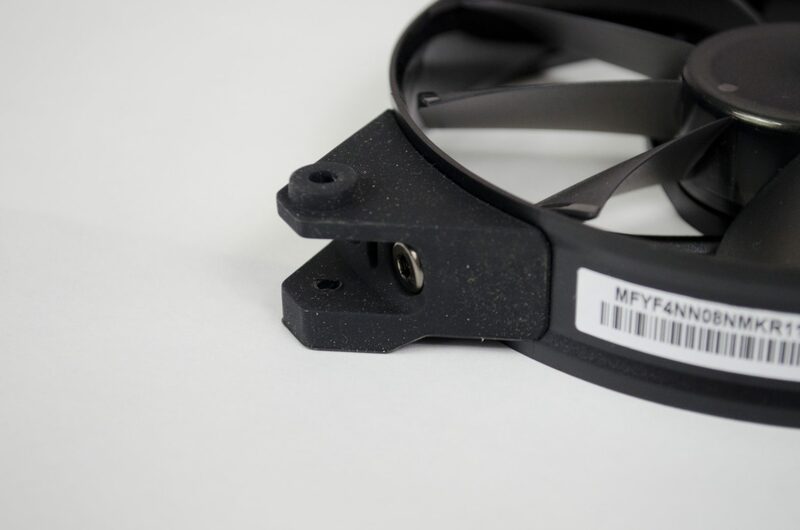 They feature a nice black frame with rubberized rattle reduction areas where the screws will go which should help with reducing vibrations and noise. The blades feature a semi-transparent design to them which looks nice and the fact Cooler Master have decided to not add any LEDs has gone over well with me. 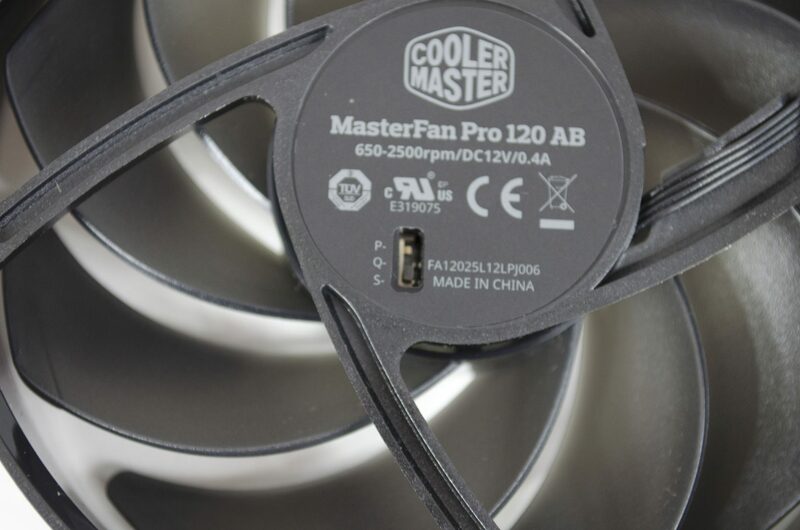 Forgoing the addition of LEDs allows the MasterPro fans to look more elegant and give off more of a high-class look. 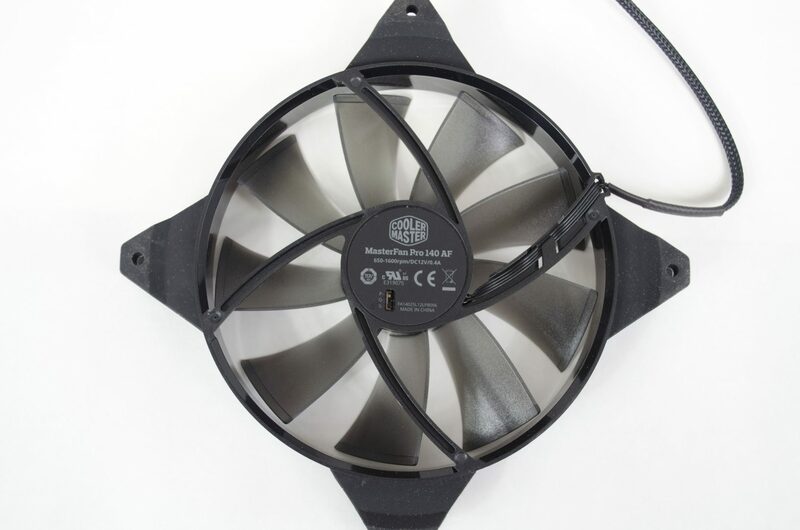 Coming in at +/- £15 depending on if you want the 140mm or 120mm variants, these fans will instantly not be for everyone. 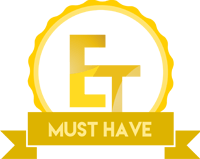 While some understand the importance of a good quality fan and can appreciate the MasterPro range, some people will find it too expensive. 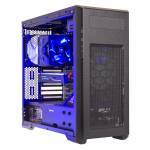 If your case takes 5x fans, which most do, you can be looking at spending £75 on case fans alone and that doesn’t include a pair for the CPU Cooler which then puts you at over £100 for fans alone. 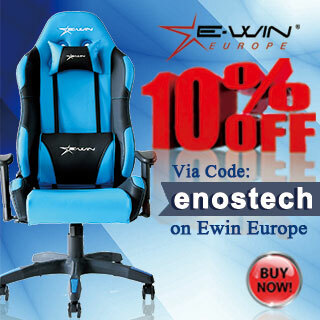 While fans are a good investment, there is no denying the impact the price will have on peoples decision. 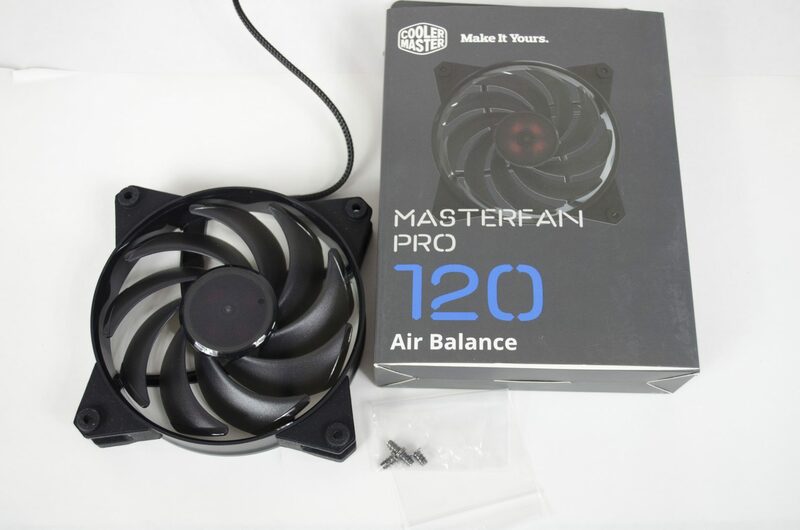 For peace of mind and to help sway your decision, the MasterFan pro range of fans all come with a 2-year warranty. Personally, I have no issue paying this amount for fans as I know they will do their job and not fail on me within a few months. 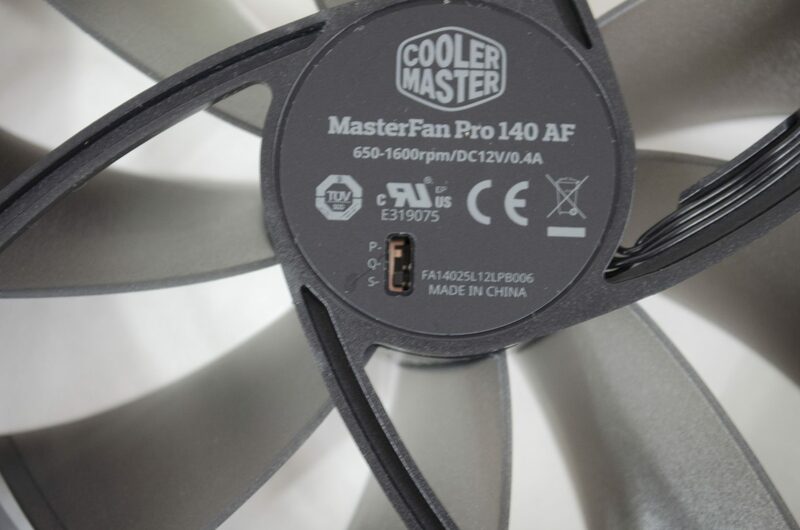 Many thanks to Cooler Master for sending in samples of their MasterPro range of fans for review.